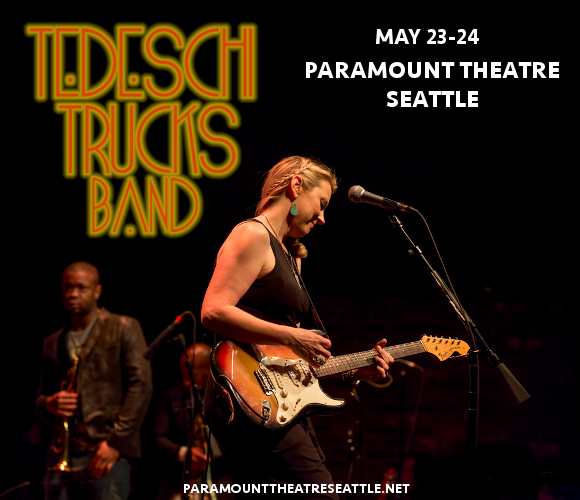 It’s that time of year again… that’s right, the Tedeschi Trucks Band return in 2019, for two phenomenal nights of incomparable rock and soul at the Paramount Theatre Seattle!! It’s all happening on Thursday 23rd May 2019 – don’t miss it!! Book your tickets online NOW and get ready to be part of this truly spectacular show, with special support from Southern rock group Blackberry Smoke and the Americana band Shovels & Rope!! Formed of husband-and-wife core duo Derek Trucks and Susan Tedeschi, the Tedeschi Trucks Band was formed in 2010, when the two decided to merge their respective solo projects, with the addition of various other musicians who join the pair on tour, and it turned out to be the best decision the two ever made. Their first album, “Revelator” won the 2012 Grammy Award for Best Blues Album, and since then, their popularity has grown and grown. From the get-go the Tedeschi Trucks Band’s motto has been simple; great music, played live. Their touring schedule has been relentless, and it’s been a busy 2018 with one sold-out show after another that carries the astronomically popular Wheels Of Soul tour over into 2019. With Derek Trucks’ superb guitar playing and Susan Tedeschi’s raw, authentic voice, in addition to the other incredible musical talents joining them from one show to another, the Tedeschi Trucks Band will remind you of just what a great live concert should be. Do you have tickets yet?? Grab them NOW and get ready to experience this incredible show for yourself! !